Cast jacinto OCast gironça, gorgorça, gorgorza, MEng. 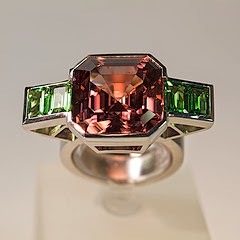 jacinete, jacynet, jacnynth, Eng jacinth, hyacinth, a reddish-orange gem, a variety of zircon or other stones called the same and having the same color but defined as sub-species of topaz and garnet. It is not clear whether Avenzoar explained that wearing a jacinth ring brought success in litigations and won men the esteem of others for being a worthy man or not. Villena stated that it was worn on the right ring or baby finger during meals. It is said that like diamonds it was worn to prevent death due to poisoning due to rotten in meat and blood. It was also claimed that jacinth warded of fever and dropsy. It disperses evil spirits and influences. It protects against plague and other epidemics. It aids digestion. See manos, comer con. Jacinth rings must have been used by Christians to ward off food poisoning especially in mollucks. Their reputation was so bad that the Jewish and Islamic religions prohibit the consumption of mollusks to this day. Wash mussels well and scrap off any debris with a knife. Put them in a pot with the other ingredients and bring to a boil. When the shells open, remove from heat and strain. They can be served warm or cold. Today lemon is squeezed over them just before serving but lemon does not appear in Roman culinary works.